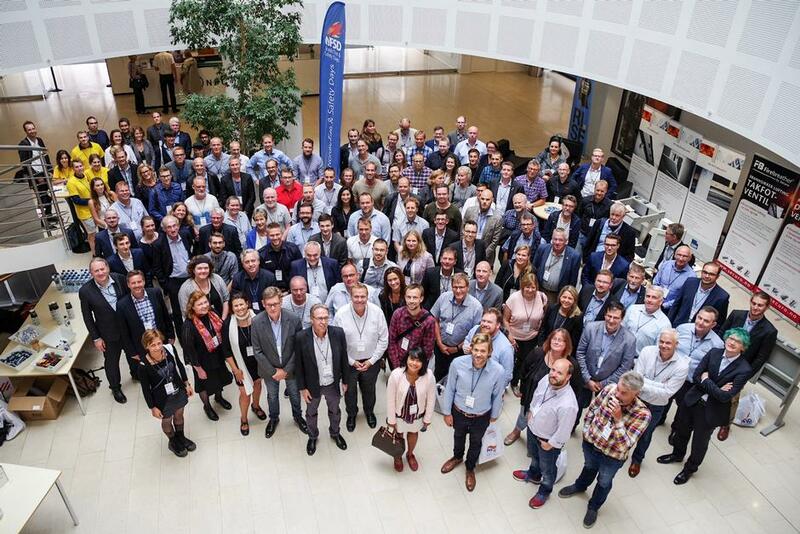 This year´s Nordic Fire & Safety Days 2018 was hosted by NTNU in Norway. 134 delegates enjoyed two days of knowledge in 66 presentations. As the past years, the work presented at the conference demonstrated a significant scientific depth and societal relevance. NFSD is a response to the extensive interest in the areas of fire and safety engineering in the Nordic countries. The first keynote lecture at the NFSD2018 was on Handling overpressure and ventilation in modern building fires. It was held by Professor Simo Hostikka from Aalto University, Finland. The topic has been raised by the fire brigades at the workshop on modern building fires in Borås, a national initiative kicked off by the brokerage event on modern building fires at the NFSD2017. The second key note lecture Turning research into practice, was held by Thomas Gell, Director for Research and Innovation at the Swedish Fire Protection Association and Director for Brandforsk. The topic was affiliated with the topic of the succeeding workshop on the need of funding of fire research and development in the Nordic countries and Europe, which called funders of research and development in the Nordic countries and Europe. Thomas Gell and Berit Berg Tjørhom from Research council of Norway participated in the panel. The lively workshop was chaired by Margaret Mc Namee, Professor at Lund University and attended by researches, developers and industry, represented by PINTFA and Chris Thornton. This year’s Nordic Fire & Safety Days was organized by RISE Research Institutes of Sweden and RISE Fire research Norway in collaboration with Norwegian University of Science and Technology, the Technical University of Denmark, Lund University, Aalto University, Luleå University, University of Stavanger, University College Haugesund and Iceland University as well as VTT Technical Research Centre of Finland Ltd and the Danish Institute of Fire and Security Technology. NFSD 2019﻿ is helt in Denmark at DTU. Anne Dederichs (RISE, DTU) and Anne Steen Hansen (RISE-fr) and Terese Løvås (NTNU) on behalf of the NFSD consortium. If you want to be added to the maillist in order to receive information on the NFSD, please send a e-mail.